With more than 800+ locations pan India, we’ve enabled our clients to provide services to the remotest locations. Our efficiency is boosted by the right technology and manpower to accomplish the projects in the stipulated time frame. quality are highlighted in every project. Astute Group helps companies perform background checks on prospect’s credentials before being granted a loan. This reduces risk and improves profitability. Right from reminding customers of the pending payments to arranging pickups, collection and portfolio management, everything is managed in-house by Astute. Our USP lies in capturing, scanning and processing data in all forms and scales. Best quality scanners and software are used to make the process error-free. Business Process Audit to Inventory Audit, Securitization portfolio audit to Brand audit, an end-to-end auditing firm, we cater to domestic and international clients. By blending experienced staff and advanced technology we bring out the most precise results. Astute is one of the fastest growing contact center due to flexible solutions, enormous infrastructure capability, national presence, multilingual calling capabilities and an experienced team. Astute Group, founded in 2005 by a team of experienced professionals is now an entity with a workforce of 2,000+ team members. With our platform built on strong ethics of integrity, customer satisfaction and high quality service, we have a matchless reputation of building long term relations with our clients. Our trademark is being a one-stop-hub for performing verifications, collections, back office support services, audits and everything in between. Our business is widespread across multiple Indian States and we scaled up immensely due to Astute’s ability of handling contact centers across 20+ states. 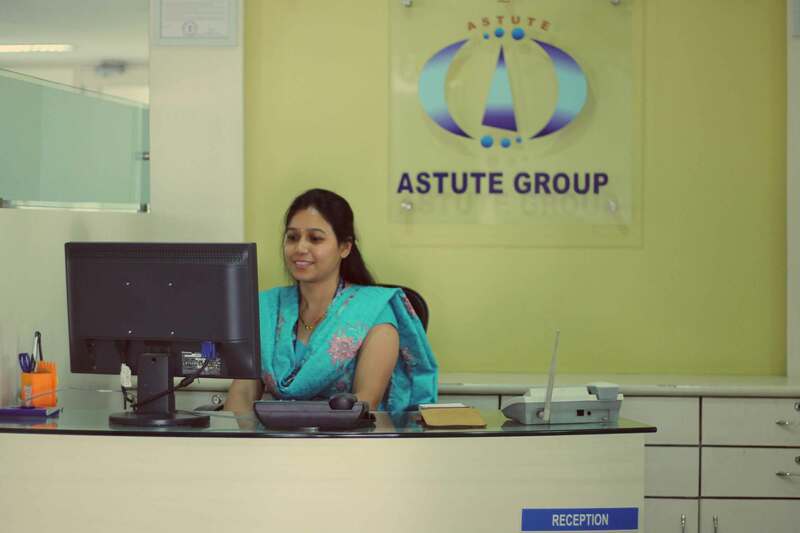 With localized solutions, Astute Group proved to be a one-stop-hub for call center and BPO services. They offer the best and most secure technology solutions ensuring that there is no breach across any functioning channel. The most noteworthy aspect of Astute Group is their skill to prevent fraudsters from entering into the banking systems. We handle multimillion dollar transactions each month and for us the most important faucet is to ensure that these dealings are kept safe from the malicious elements. Having Astute to handle our credit and risk management helps us save huge bucks that would otherwise have been interfered by scammers. Working with Astute since the past half-decade we can vouch that their onsite delivery and stringent timelines are unmatched by anyone in the digitization and scanning industry. Due to customized technology solutions, they have scanned millions of documents from A0-A4 size for us. Right from surprise inventory audits from a centrally controlled mechanism, following standard procedures on field to uniform reporting and minimized revenue leakage, Astute Group does all this for us. One reason why we choose to work with Astute from amid all the other options is because they offer all services under one roof. Contact center, auditing, credit and risk management, debt collection and back end office services, everything is managed by them. They manage these with a single point of contact while their back end team efficiency accomplishes the lengthiest and most complicated processes for us.